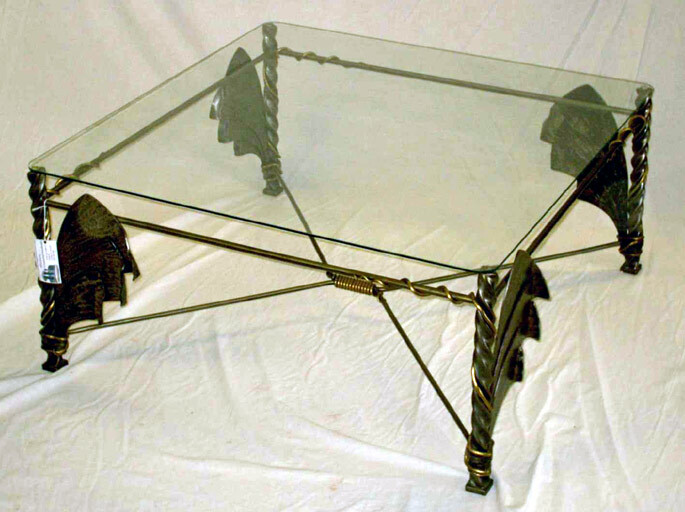 This is the matching table to the "Fan" Sofa table. Forged steel with forged brass accents. 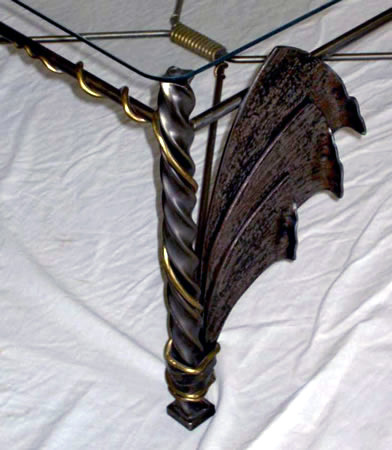 and the center brass wrap on the bottom "spreader". 36"x36"x16.5" tall. .